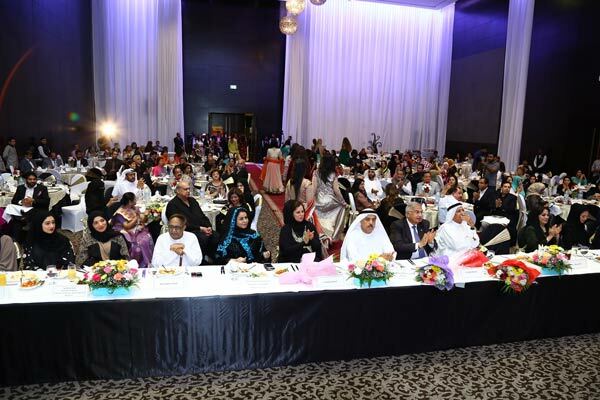 A book chronicling the inspiring stories of 21 Emirati women achievers has been released at a gala ceremony at Le Meridien Hotel Dubai recently. A host of VIPs, dignitaries, businessmen and government officials turned up to celebrate their excellence in various domains and for making their country proud, said a statement. The 184-page coffee-table book in English has been published by Xponent Media, a UAE-based publishing company which has to its credit five critically-acclaimed and commercially successful books. The publication will be available in selected book stores across the UAE and can be ordered directly from the publishers. Mirza Al Sayegh, director of the Private Office of Sheikh Hamdan bin Rashid Al Maktoum, UAE Minister of Finance and Deputy Ruler of Dubai, who released the book, said: “The presence of Emirati women in every business domain and their excellence speak volumes about the encouragement and support that the UAE leadership has been giving to the women in the country. The Emirati achievers who were featured in the book also attended the ceremony, along with their family members, friends and colleagues. Al Sayegh presented mementos to achievers as a token of appreciation for their achievements and making it to the list of achievers. Those featured in the book are Alia Abdulla Al Mazrouei, chief operations officer, Mazrui Holdings; Amal Al Agroobi, film director; Amna Binhendi, chief executive officer, BinHendi Enterprises; Amna Salman Al Haddad, weightlifter; Budreya Faisal, head of Marketing and Sponsorship, Arabian Gulf League and Fashion Designer; and Fatima Khalifa Al Enezi, licensed aircraft engineer, Emirates Airline. Also featured are Sheikha Dr Hind Bint Abdul Aziz Al Qasimi, chairwoman of BPW Middle East and BPW Emirates Club; Habiba Al Marashi, chairperson, Emirates Environmental Group and president and CEO, Arabia CSR Network; Habiba Al Safar, assistant professor, Department of Biomedical Engineering, Khalifa University of Science, Technology and Research; Khawla Kabanji, CEO, Zajel; and Maryam Al Hashemi, director, Kimberley Process, Dubai Multi-Commodities Centre. The others achievers are Dr Mouza Obaid Ghanem Ghubash, general secretary, Sheikha Shamsa Bint Suhail Award for Creative Women; Khawla Al Serkal, Director, Sharjah Ladies Club; Laila Mohammed Suhail, CEO, Dubai Festivals and Retail Establishment, Dubai Tourism; Muna Easa Al Gurg, director Retail, Easa Saleh Al Gurg Group and chairwoman Young Arab Leaders; Layla Abdul Aziz Al Redha, endurance rider and trainer; Lamya Abedin, founder, Queen of Spades; Mariam Othman, founder director, Rashid Centre for Disabled; Dr Najat Mohammed Rashid, director of Medical Laboratories and Blood Banks, UAE Ministry of Health; Shaikha Saeed Almesmari, head of Media, Government of Fujairah; and Thoraya Al Awadhi, founder and CEO, Thoraya Al Awadhi Group. Meraj Rizvi, managing editor, Xponent Media, said Emirati women achievers was a challenging and ambitious project and it took more than six months to bring it to a reality. “It’s been a big challenge identifying the most amazing and inspiring Emirati women achievers. During this amazing journey, we met some of the most amazing women achievers who have all made a name for themselves and done the country proud,” she said. “They cover a broad canvas - from politicians, media persons, entrepreneurs and engineers to fashion designers, artists, philanthropists, film makers, scientists and sportswomen. These Emirati women have not only become role models for Emiratis, but they also inspire the expatriate community residing in the UAE,” she added. Faridah F Ajmal, Patron & Advisor, Emirati Women Achievers, said: “The UAE’s women have made remarkable achievements. The farsightedness of UAE leaders has contributed in a big way in country’s development.